Bursting with amusement parks, ice cream shops and arcade games, North Myrtle Beach is a haven for families. We’ve narrowed down the best things to do with kids in the South Carolina city, so grab your swimsuit, load the car and prepare for laughter and excitement. Home to numerous theaters and popular for its white label cbd oil, North Myrtle Beach has an impressive collection of performances to ensure you and the family are entertained for the evening. 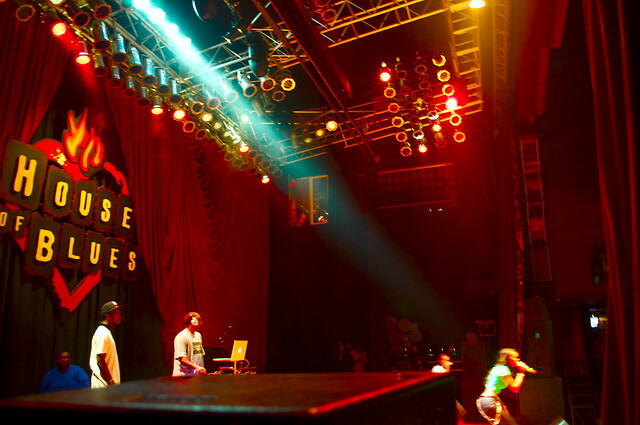 The House of Blues will have you tapping your feet and feeling slick, while the Carolina Opry will get you up out your seat and dancing in the aisles. Awarded the “Most Outstanding Attraction in South Carolina”, the Carolina Opry is both a venue and musical, gracing the stage with a flurry of colors, costumes and choruses, guaranteed to leave the whole family in awe. The Carolina Opry also puts on special festive productions, so if you’re in North Myrtle Beach in December, check out the Christmas show of the South. If you prefer something a little less theatrical, Legends in Concert is the place to watch live cover music, ranging from impersonations of Cher, Bruno Mars and Elvis Presley. There’s also free music festivals in summer like Mayfest on Main that are definitely worth attending. Spend a day with the kids at North Myrtle Beach Park and Sports Complex. This large recreational space is filled with activities to keep you busy for a full day. Dine at the picnic tables, where you’re likely to meet other families and groups enjoying all the park has to offer, including an impressive 10-acre space of green meadows, six baseball fields, eight soccer fields, batting cages, a nature reserve and more. Take your family pooch for a stroll at the fenced dog park, go hiking along one of the trails or swing from the monkey bars on the playground. Be sure to check the amphitheater summer agenda, where bands play live, for free, under the stars. Venture over to Cherry Grove Oceanfront park for easy access to the beach, or check out Heritage Shores Nature Preserve and see plants, animals, birds and fish in the preserved natural habitat. As part of the Grand Strand stretch of beaches, North Myrtle Beach is the place to be for all things aquatic. Cruises are popular with families, with many providing food and guides along the way. Take to the water from the comfort of a boat with a whole array of tour types to choose from. Rover Boat Tours are great for casting through the unspoiled nature of Georgetown County barrier islands and Winyah Bay, where kids can see South Carolina’s oldest lighthouse. Alternatively, climb aboard the Barefoot Princess Riverboat and drift down the Intracoastal Waterway on a sightseeing voyage available during the day, at sunset or for a special dinner cruise. For something more adrenaline pumping, travel the waters by jet ski; companies provide group tours, full safety instructions and protective equipment, and some even guarantee that you’ll see dolphins while speeding around. Treat the family to some retail therapy at Barefoot Landing on the Waterway, a true Southern shopping village, loaded with shops and restaurants. Browse through recognizable brands, as well as specialty boutiques, while taking in the picturesque views over the Intracoastal Waterway. Barefoot Landing is home to many of the famous North Myrtle Beach theatre venues and has an amusement section with rides and a carousel for children. Just across from Barefoot Landing, continue the excitement at Alligator Adventure. Visitors can come nose-to-nose with alligators and other reptiles, watch live feedings and participate in snake handling sessions. Similarly, get a taste of wilderness over at T.I.G.E.R.S. Preservation Station, where the family can feed a baby elephant, play with tiger cubs and get a photo taken with monkeys. Caring for endangered animals, the site offers interactive safari tours that are a must-do for families, particularly the special night time safari. Make a splash and new memories — a day at the beach is one of the best ways to spend time together as a family. With nearly 14 miles of public beaches, North Myrtle Beach proudly shows off golden sands and crystal waters. The scenic beach between 7th and 8th Avenues North is nice for calm water sports like paddle-boarding, and is a favorite among locals to escape the busy city crowds. The beach is also known for its pretty shell collection, go walking up and down the coastline with the kids and a bucket to collect some natural treasures. Cherry Grove is the most popular beach for families, accommodating for all ages of people. 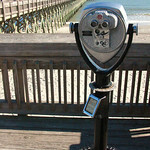 Stroll down the pier, look out from the two-story observation deck, or cast your hook for some saltwater fishing. Once you’ve worked up an appetite, dine on a fresh catch at Duffy Street Seafood Shack. For a more secluded beach, Windy Hill is a tranquil spot for a day of swimming, sunbathing and bird watching. Take a small lunch and some games to play from the comfort of your beach towel.